Hey guys! I hope you've all had a great summer! There's no better way to start of the school year than with a new ODESZA album! I feel like I've been waiting an eternity for this album, and let me tell you, it did not disappoint. 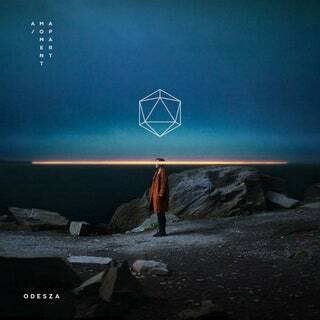 This album is ODESZA's third and was released on September 8th. The album showcases the duo's musical abilities by providing haunting vocals and layered beats. The songs combine a chill electronica feel with a variety of elements, including soul which can be heard in the song Across the Room which features artist Leon Bridges. The album almost creates a dream-like, cinematic experience. Many artists are featured on the album including RY X, Regina Spektor, Naomi Wild, and many more. They had previously release the singles Late Night and Higher Ground, which are still a few of my favorites from the album. La Ciudad and Falls are also a few of my new favorites from the album. The duo is currently touring, so be sure to check out if they're coming to a city near you! Also be sure to tune in at WNJR 91.7FM to hear more songs from ODESZA and artists like them!